Several types of wrens visit Central Park, and I have seen four: Carolina wrens, winter wrens, marsh wrens and house wrens. 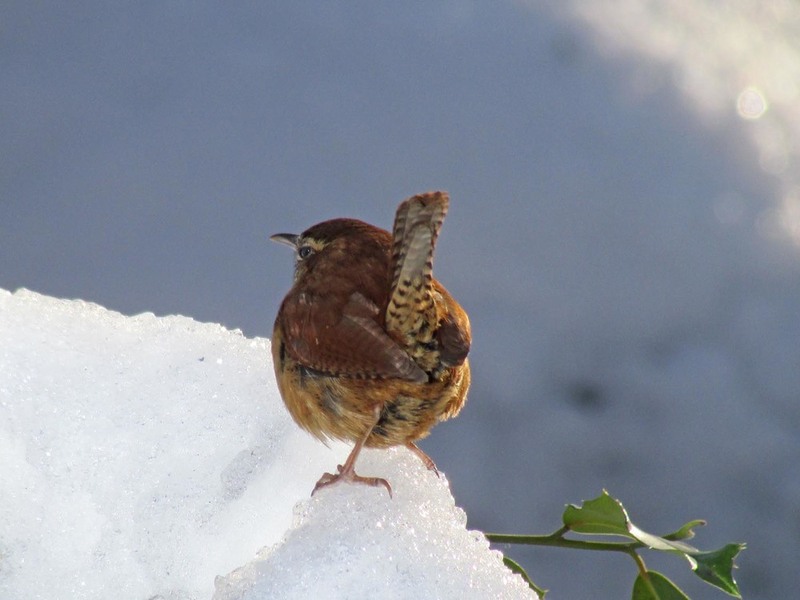 The winter of 2013-14, we had at least three Carolina wrens who stayed through the winter, at least two of them eating peanuts out of our hands. Their call was so unmistakable, and so very welcome to hear. This past season I didn't see any Carolina wrens spending the winter here. The winter wrens are very fast and hard to photograph. The Latin designation for wrens is Troglodytidae. One of my favorite words is troglodyte, meaning cave dweller, and when I see the little winter wrens, I often see them near dark areas around the water. I don't know whether I've photographed a marsh wren. I'm still looking through photos. 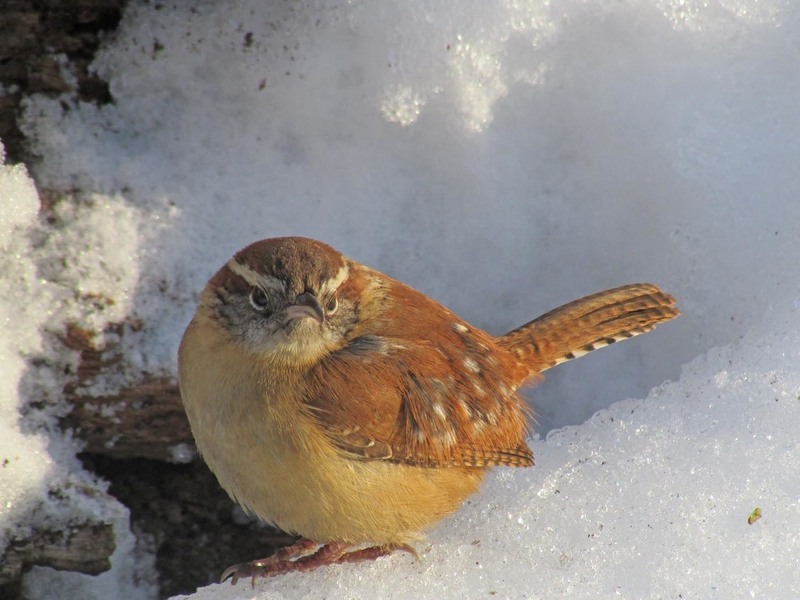 Below you will see photos of winter wrens and Carolina wrens. So far I have done one Filming the Feathers video, this one of the winter wrens.